I've been inspired by so many bloggers of late to go thrifting. I am surprised I found some things I do like. After going through much stuff, there are some treasures. Below are pics of the ones I love. 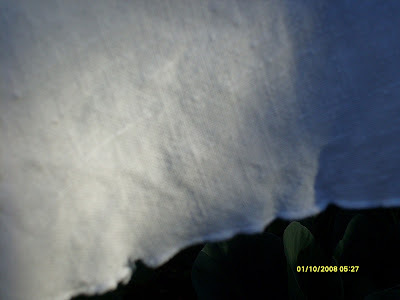 I found a beautiful large oval pure linen table cloth with the most delicate ruffled edge for $2.00. 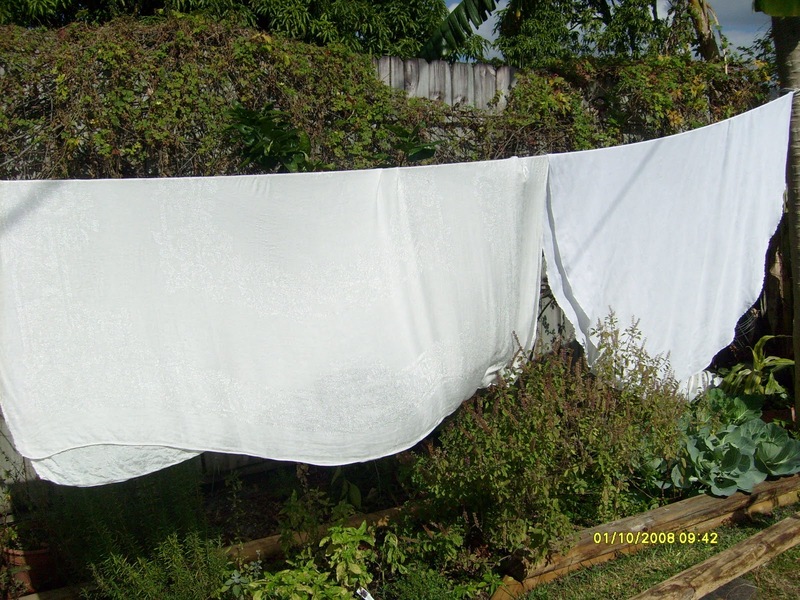 There was a minor yellow spot which was removed with a quick soak in bleach water. After discovering the beautiful linen, I found a beautiful cream damask of the softest cotton which I love for $2.00. 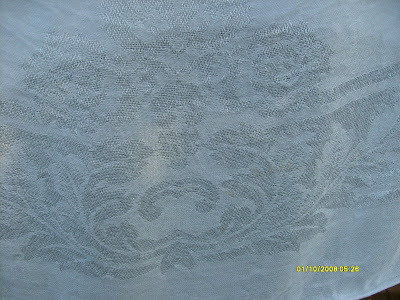 Then I found a bag of 6 white cotton battenburg lace placemats with 2 matching napkins for $4.00. 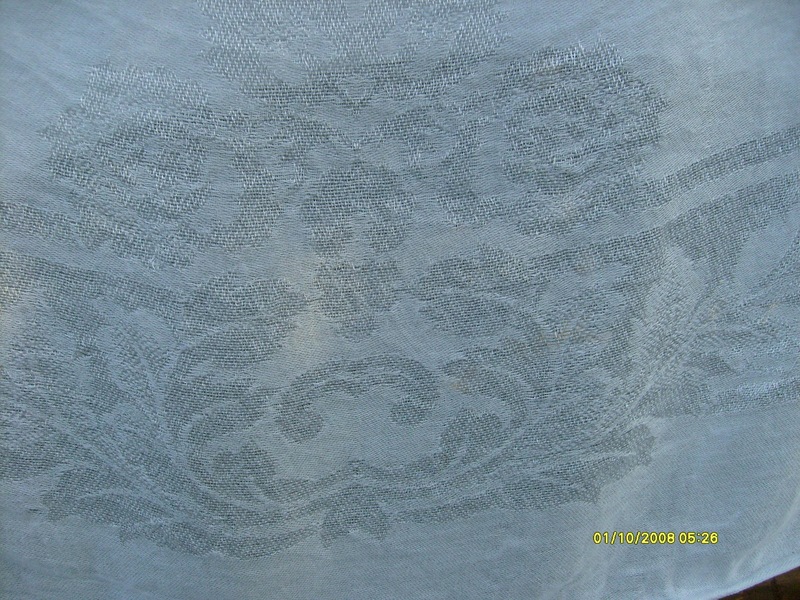 I also found this day a pair of crocheted valances I will use as a trim to something I will make later. All the linens I found this day were taken home and immediately soaked in a bucket of bleach water I had already sitting in the garden from a previous purpose, and within an hour all spots were removed. 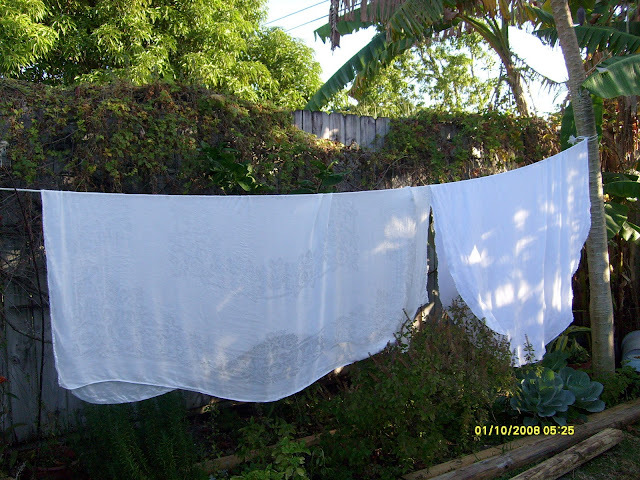 I then washed them in the delicate cycle and hung them on a clothesline I quickly erected just for them. I found a white tureen in the same store the week before, made in Portugal for $15.00. I am happy with my finds. 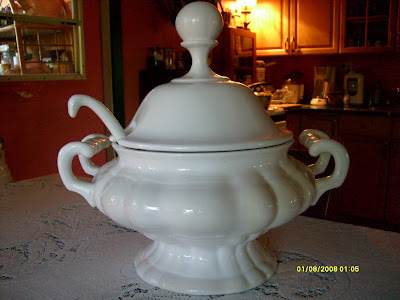 I do believe I shall go ''thrifting'' again. LOL. 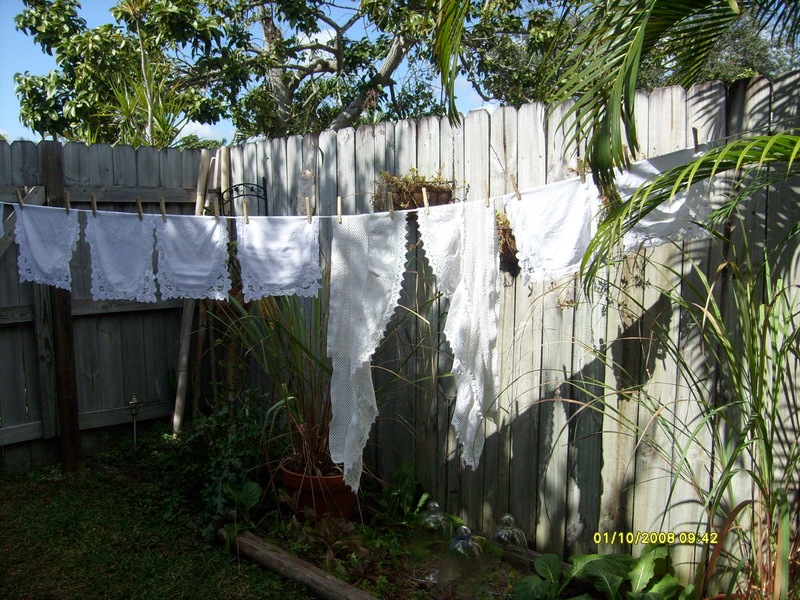 I've never joined a ''blog party'' before and I hope I'm doing this right, lol, but here I will post the link for " A Delightsome Life'' blog party for thrifty finds. Hello, I have been trying to catch up with emails and noted yours expressing that you like the music on my blog - thank you. I chose these because they touch my heart and uplift my soul. I first heard the majority of the music while watching Message in a Bottle. The composer created exquisite music. I too keep it open while I am puttering about the house - sometimes I connect with the Internet on our tv and it fills my home.